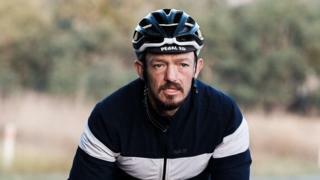 Briton Mike Hall, one of the world’s best ultra-endurance cyclists, died almost instantly when he was hit by a car during a race in Australia last year, an inquest has heard. Mr Hall, 35, had been competing in the Indian Pacific Wheel Race when he was struck on a highway near Canberra. An inquest has heard evidence that it was dark at the time and would have been hard for a motorist to see. Driver Shegu Bobb, 19, thought he had hit a kangaroo, the hearing was told. Mr Hall, from Harrogate, North Yorkshire, suffered major head, spinal and abdominal injuries, the Coroner’s Court in the Australian Capital Territory heard. He had been in second place when he was hit by Mr Bobb’s car at 06.22 local time on 31 March last year. The vehicle was travelling at 100km/h (62 mph). 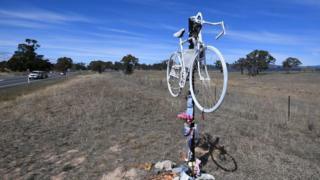 The coast-to-coast race – in which cyclists ride a 5,500km (3,400 miles) route from Fremantle to Sydney – was known for its difficulty, the inquest heard. Counsel assisting the inquest, Ken Archer, described the event as a “Hunger Games on wheels”, with some riders completing up to 400km a day and sleeping only four hours a night. He said Mr Hall had been wearing dark clothing with little reflective material at the time of the collision. However, the inquest was also played documentary footage of Mr Hall racing at night in which he was visible. Mr Bobb was on his way to work at the time of the accident. Police told the court that he had been distracted by a parked truck as he turned on to the highway, and had no time to avoid the collision. No charges have been laid against Mr Bobb. He had suffered significant distress and shock after the crash, the inquest heard. The cyclist’s death shocked the sport and prompted memorial rides in Australia and the UK. It also led to the cancellation of this year’s Indian Pacific Wheel Race. Hall won the 2012 World Cycle Race and had been living in Monmouthshire, South Wales. His family has travelled to Australia to attend the inquest, which concludes on Thursday.